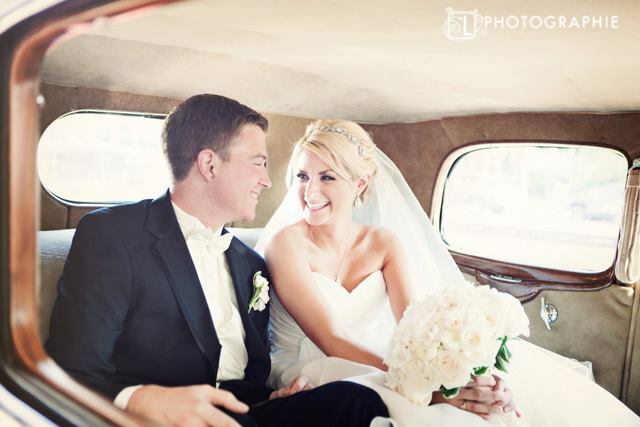 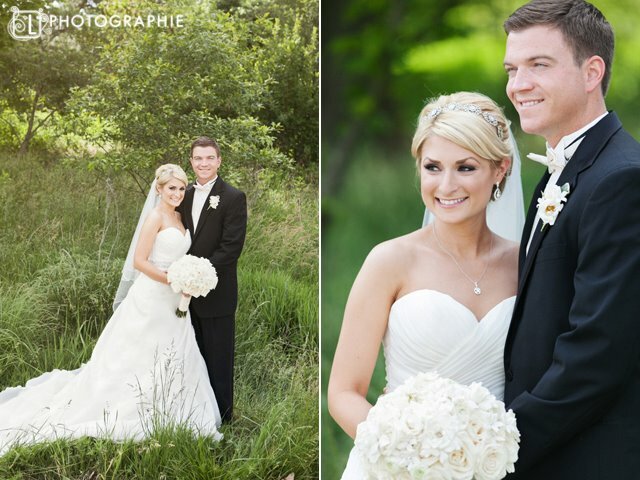 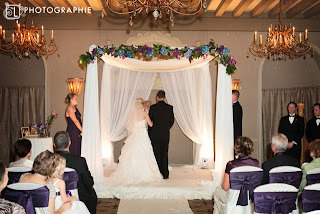 On a very pretty day this past May, Colleen and Josh said “I do” at the Coronado ballroom. 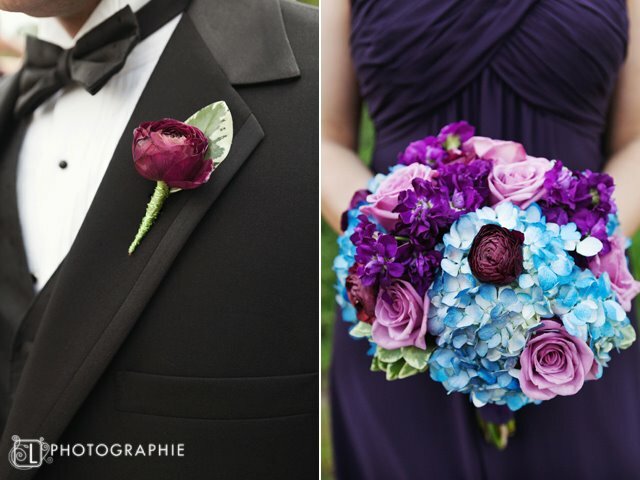 Here are some gorgeous shots by L Photographie. 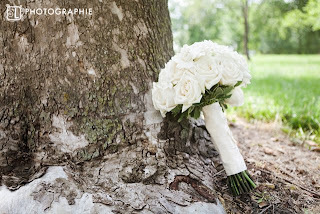 Colleen opted for a very traditional, textured bridal bouquet. 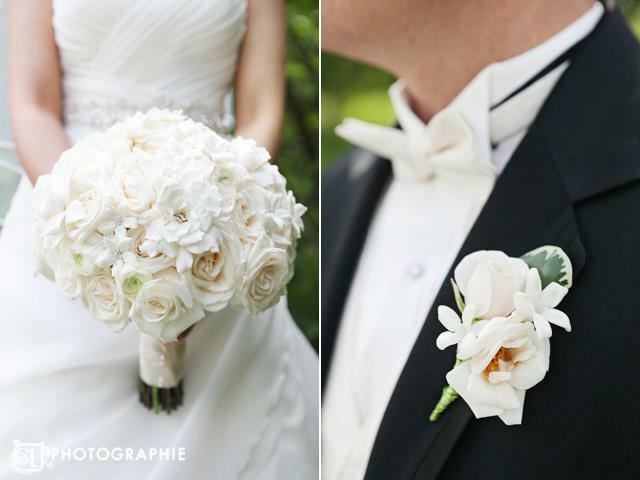 Classic can be so beautiful. Dark purple and blue tones were used in the rest of the personal flowers. 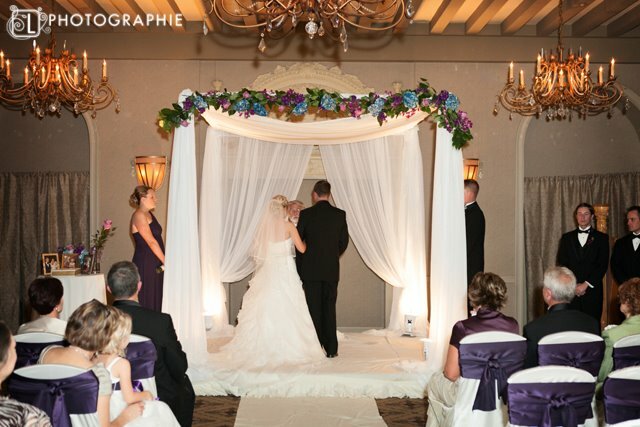 Blue and purple blooms decorated the canopy for the ceremony. 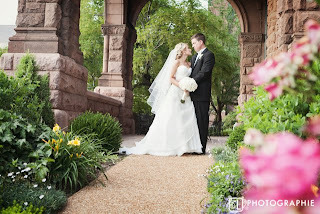 Many blessings, Colleen and Josh!